Here comes Solar — Corn going back to Fritos? ScienceDaily (2008-05-17) — Scientists have improved the efficiency of an important type of solar cell from 21.9 to 23.2 percent (a relative improvement of 6 per cent). The efficiency improvement is achieved by the use of an ultra-thin aluminum oxide layer at the front of the cell, and it brings a breakthrough in the use of solar energy a step closer. The costs of applying the thin layer of aluminum oxide are expected to be relatively low. Solar cells have for years looked like a highly promising way to partly solve the energy problem. The sun rises day after day, and solar cells can conveniently be installed on surfaces with no other useful purpose. Solar energy also offers opportunities for use in developing countries, many of which have high levels of sunshine. Within ten to fifteen years the price of electricity generated by solar cells is expected to be comparable to that of ‘conventional’ electricity from fossil fuels. This technology breakthrough now brings the industrial application of this type of high-efficiency solar cell closer. Science has seen the future…and it’s invisible! In the early 1990s, George Bush Senior led the U.S. into war with Iraq’s Saddam Hussein. 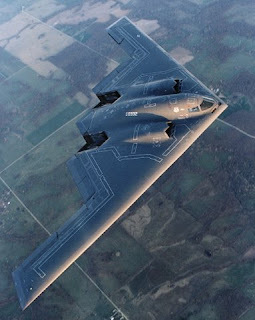 “Operation Desert Storm” became the first war to be televised “live.” Amid the images of explosions and soldiers and tanks covered in desert camouflage, the war also shed light on the Stealth jet fighter. 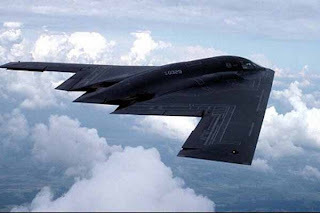 Though it had been in use by the military since the early 1970s, for the first time it registered in the popular consciousness that this sleek jet fighter was virtually invisible to radar. At the time, being invisible to radar was a concept that seemed to come straight from the movies, rather than an evening news report. Fast forward to 2008, with American forces embedded in a much different Iraq and the talk about invisibility circulating at the Pentagon has gone beyond radar, and into the realm of sight. Or out of sight, quite literally. 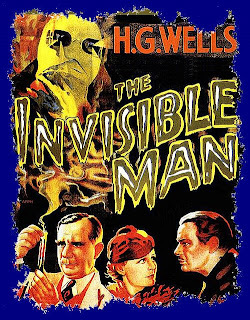 Invisibility, once thought to be scientifically impossible and an outlandish concept promoted only in science fiction, is back, so to speak, on the radar. In fact, one of the world’s foremost physicists, Michio Kaku, has put his academic mind to some of science fiction’s other concepts, such as teleportation and force fields, and is convinced that they, too, can become reality. At Duke University, Kaku explains, researchers funded by the military were able in 2006 to render a microscopic object invisible to microwave radiation. Then, a few months ago, researchers at Cal Tech and in Germany achieved the same result with visible light. And that is only one of the seemingly outrageous accomplishments in the works that Kaku discusses in his new book, Physics of the Impossible. 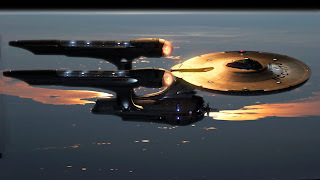 While the concept of bringing a mega-size starship with hundreds of people aboard to another star is not likely, he says NASA is making advances toward sending billions of self-reproducing nanosized exploration vessels throughout the galaxy. Some of the changes that excite Kaku are the possibilities of computers carrying information through light instead of electricity, or computers functioning on DNA molecules. Another reality that may change our view of the possible is the question of extraterrestrial life. “It’s almost a certainty; microbial life for sure,” Kaku explains. “The odds are that there are civilizations much more advanced than us. We can count 100 billion stars in our galaxy and 100 billion galaxies in the visible universe. That’s 100 billion squared for the number of stars in the visible universe. 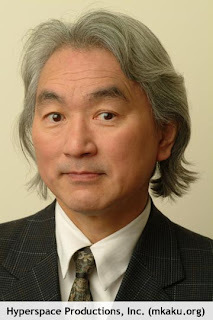 The probability that one of these stars has a planet that will have life more intelligent than us, I think, is 100 per cent.” This marriage of science fact and science fiction, while exciting, Michio concedes, is nothing new. Instead, Michio points out that they are interrelated traditions.